It’s pretty much been eons since the last time I was up North in Redwood National Park. I remember being a little girl and looking up at those giant trees; it made me feel so incredibly small. Even as an adult, standing next to them still made me feel so very tiny. These ancient trees are truly spectacular, and it was such a pleasure to go camping among these giants. Upon arrival, we had to stop at the first visitor center to get one of the National Park Passport cancellation stamp. It wouldn’t be a trip to a national park without getting stamp(s), hehe! The views behind the visitor center were phenomenal. It seemed like miles and miles of sand that stretched along the California coast. It’s quite impressive! After spending some time at the beach, my brother and his fiancee suggested we check out Fern Canyon. I’m so glad that they did because it’s such a sight to see. Basically, you hike on a semi-muddy trail that runs right next to a stream. At some points on the path, you have to maneuver over fallen tree trunks and branches. The trail is actually the valley floor of the canyon, and the sides of the canyon have abundant fern rooted onto its walls. 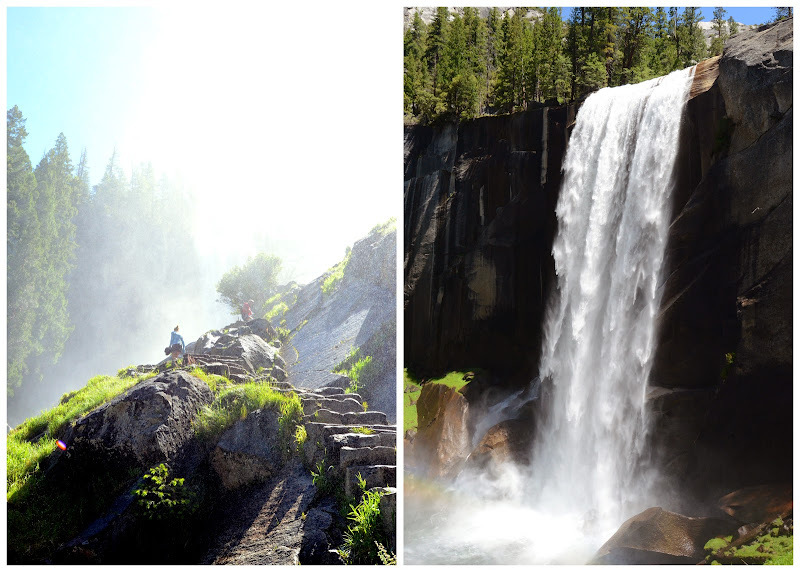 If you plan on hiking this path, prepare to get semi-wet. We went later in the summer, so I’m sure the water level is low compared to other times of the year. Nonetheless, it’s a neat place to explore. There’s an abundance of elk roaming the grounds of this national park! I swear we saw them all over the place. A pretty shot of one of the many rivers we drove over! We set up camp that evening and hit the sacks pretty early because the next morning we hit up Enderts Beach. To get there, you have to hike about 1/2 mile to the shore. It was frightening, however, to see warning signs that indicated that mountain lions were sighted on that trail a couple of days ago. We were cautious though! As far as the trail, it gets steep at some points, but the tide pools below are worth it. We had a blast splashing around on the beach! My favorite part about Enderts Beach is the incredible tide pools. They are loaded with different types of starfish and thousands of anemones. I would’ve spent all day there if I could. If you ever make it up there, make sure to follow the tides for the best tidepooling conditions! Heading out from the trail head, there were people stopped looking off to the side of the road. We couldn’t figure out what they were looking at until we saw a huge elk! Isn’t it crazy that his antlers are the size of the fence post?! For lunch, we headed up towards Oregon and had lunch at a local seafood joint in the Port of Brookings Harbor called Sportshaven Marina. Their clam chowder was amazingly delicious. Mmm, mmm! On our way back down towards California, we drove into Jedediah State Park, where they house some of the tallest and oldest trees in the world. It’s amazing how far they stretch up into the sky. You feel so small standing next to one of these giants. 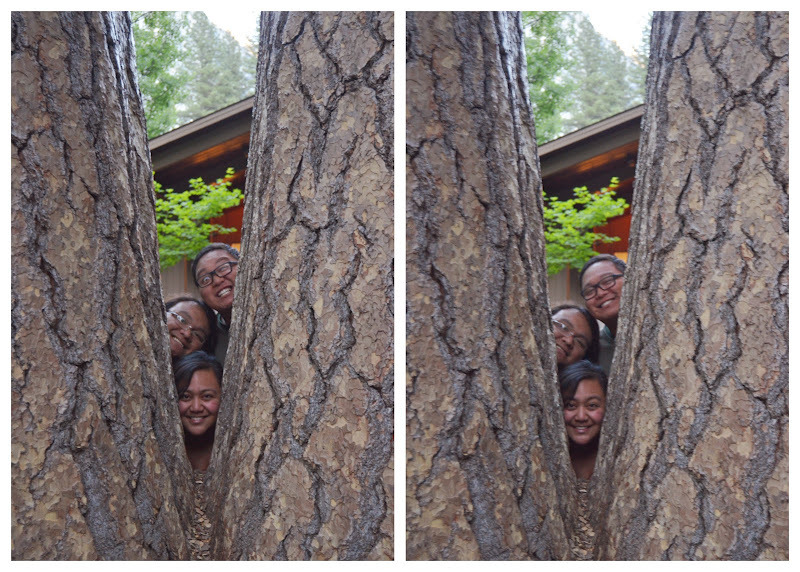 Speaking of small, as we trekked through Jedediah State Park, I kept imagining Ewoks roaming around the woods, haha! After exploring a handful of the forest floors, we took a walk (and relaxed) in Crescent City. Although it was foggy, it felt nice to get some fresh ocean air and breeze after a long day. On our last day, we headed South. Again, we were impressed by the gorgeous ocean views and the abundance of ancient trees. I had a blast this weekend. Sometimes, being out in the wilderness reminds you just how magnificent our world is. It’s a great reminder to take time to appreciate what the world really has to offer us. HERE: A few weeks ago, we took a trip down to So Cal. It was definitely worth the rest and relaxation time. As a matter of fact, I believe that Maui and Hilo definitely had more of a vacation than me. Spoiled much?! Maybe just a little. THERE: A couple of our good friends have been together for what seems to be an eternity. With a handful of their family members and close friends as their witnesses, they officially tied the knot. I was so honored to be able to share that special day with them at San Francisco City Hall. YOSEMITE: We also decided that camping needed to be on the agenda. Oh, this trip was one unforgettable outing. Bright and early on the first morning in the park, we planned for an “easy” hike to the top of Vernal Falls. We made sure to take pictures along the way. About 1.6 miles with a 400 feet elevation gain to the footbridge, it was time to take a long breather. Phew! You would think that for less than two miles, it would be fairly easy. Nope! I’m not going to lie — that elevation change is pretty rough. Talk about a “moderate to strenuous” workout. After a 15 minute breather and a refill in the CamelBak, it was up the cliff we go. Literally, it’s a steep climb to the top of the falls. After the rough (and scary) incline on the granite steps built into the cliff, Gloria and I made it to the top. The feeling of accomplishment that morning was one amazing rush. As for Gloria, I swear she didn’t even break a sweat. But then again, this is coming from someone who’s done the Half Dome trail a couple of times. Day two in the Park started at the crack of dawn. On the way to Tuolumne Meadows, we stopped to enjoy the views at Olmstead Point. The alternate view of Half Dome from this angle looks incredible. Just looking at it, I still can’t even imagine hiking that 4,900 feet elevation climb. Tuolumne Meadows, thus far, is my favorite part of Yosemite. The spans of meadows are so beautiful, so green. We, of course, had to hike through it. Along the way, we couldn’t resist taking photos. After some downtime at lunch, we headed back towards Yosemite Valley, but we had to make one stop along the way. 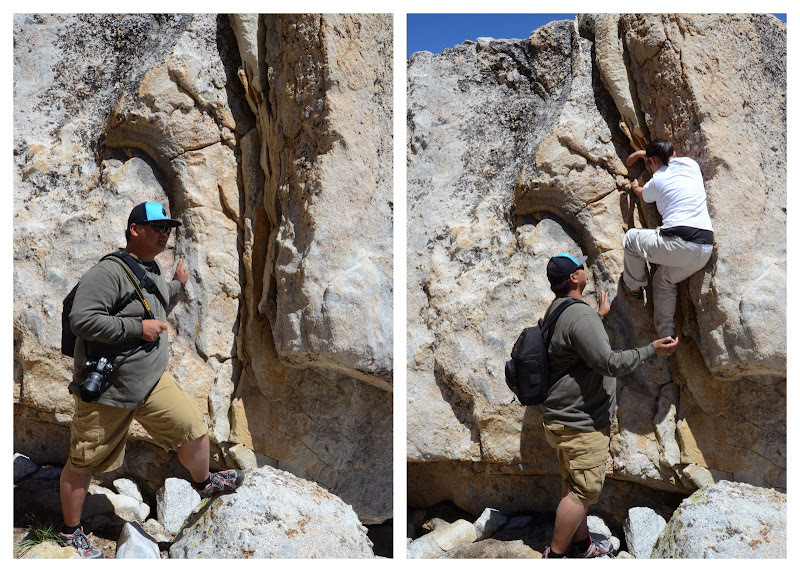 Gloria wanted to tackle the boulder that broke her foot over five years ago. The fact that she went back to face that fear, in my mind, shows who won that battle. Now that we have the annual pass, I’m super stoked for our next camping/hiking adventure. As for now, I’ll settle for some of the trails nearby. Some of the Bay Area coastal trails look like they could be pretty comparable.